Welcome to our weekly hand-curated roundup of articles and resources, guidance and inspiration for those who have a role and responsibility in shaping the employee experience. We include a variety of sources and topics ranging from Employer Branding, Content, Employee Communications & Campaigns, Recruitment Marketing, and workplace culture. 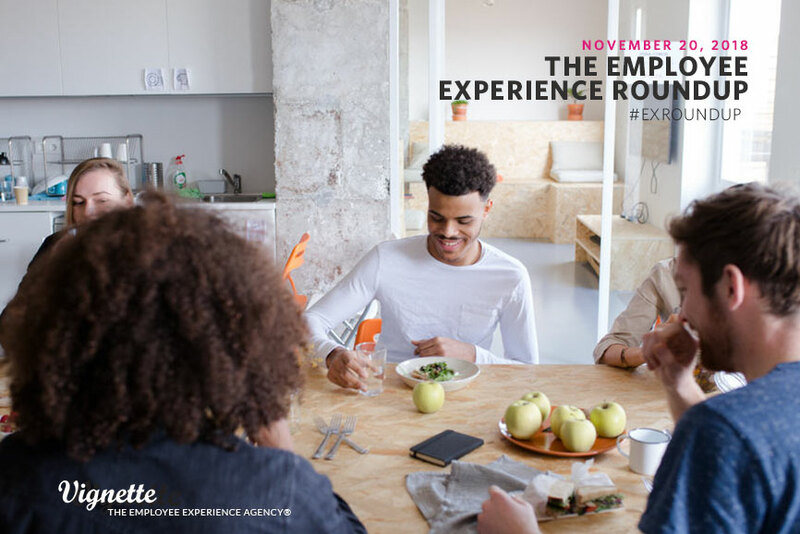 In this week’s EX Roundup, read about how to Improve employee experience with consumer-centric HR, listen to the HR studio podcast on how to build a strong culture, and learn how to use multimedia content to boost your reach to employees, plus more. As we approach Thanksgiving, we wanted take the time to pause and reflect on what we’re grateful for. It is a privilege to do what we do. We’re a special kind of agency — an employee experience agency, we help organizations focus on what’s most important to them: the people who make up every company. We spend at least a third of our waking hours at work (and some of us much more than that, you know who you are). We asked a few Vignetters what they’re grateful for, not only this week but all year long. Cheers to a Thanksgiving table filled with laughter, good eats, and good company. And thanks for letting us do what we do.